Born in Cheshire, Massachusetts, Smith was employed by the U. S. Armory service from 1824 to 1842, when he moved to Newton, Connecticut. He was employed by various gun makers up to the 1840s, when he moved to Norwich, Connecticut. He is then listed as a partner of Cranston & Smith. It is known that while in Norwich, he engaged in the manufacture of whaling guns and he is credited with the invention of the explosive bullet used to kill whales. Smith and Daniel B. Wesson founded the Smith & Wesson Company in Norwich, Connecticut in 1852 to develop the Volcanic rifle, the first repeating rifle. Smith developed a new Volcanic Cartridge, which he patented in 1854. The Smith & Wesson Company was renamed Volcanic Repeating Arms in 1855, and was financed largely by Oliver Winchester. In 1857, Smith and Wesson formed another Smith & Wesson company, this time to produce a pistol with interchangeable parts, a repeating action, a revolving magazine, metallic cartridges, and an open cylinder. They developed more firearms using their own patents along with patents and licenses bought from other gunsmiths. 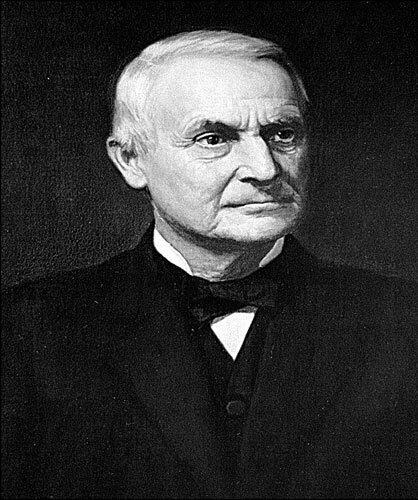 Smith sold his interest in the company to Wesson in 1874 at the age of 65 and retired. Smith was married three times: first, to Eliza Foster; second, to Eliza Hebbard Jepson, and third, to Mary Lucretia Hebbard. Smith died on January 15, 1893. His will apportioned amounts to relatives and institutions and stated that the balance should be used for public purposes at the discretion of his executors. The Horace Smith Fund was established in 1899 from his estate to fund scholarships for worthy graduates from secondary schools in Hampden County, Massachusetts.